Emma Lawton was diagnosed with Parkinson's disease when she was 29. 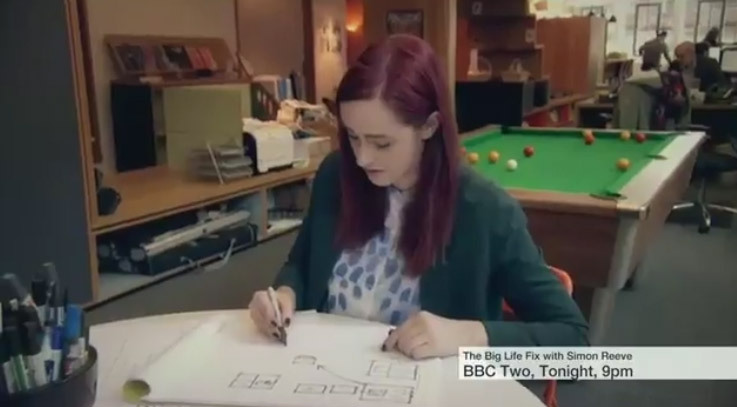 Emma works as a graphic designer and as you would imagine, drawing is a huge part of her life. Sadly the tremors in Emma's hands have grown more pronounced, which has stopped her from drawing straight lines and from writing. In a new program for the BBC, 'The Big Life Fix', innovators have got together to create and build life changing solutions for people in need, like Emma. Haiyan Zhang is an Inventor working at Microsft Research who worked on a fix to help Emma to write again. Watch as Emma writes for the first time in 3 years.